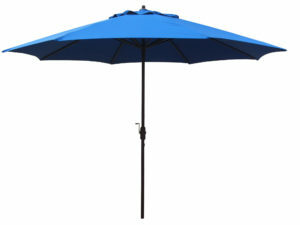 Aluminum Patio Umbrellas provide shade in a variety of styles, design and configurations. Aluminum offers the sturdy reliance of a metal frame without the worries over rusting parts. 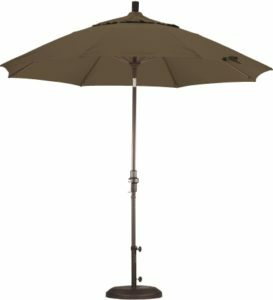 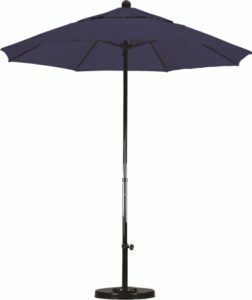 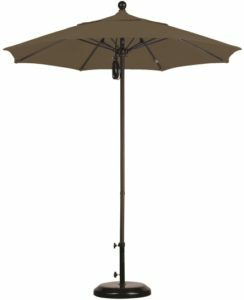 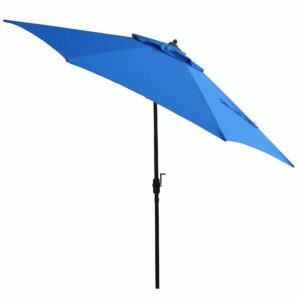 Here we provide one of the largest selections of aluminum commercial grade umbrellas from the standard crank and tilt style, rope pulley lift and even the hard-to-find offset cantilever umbrella. 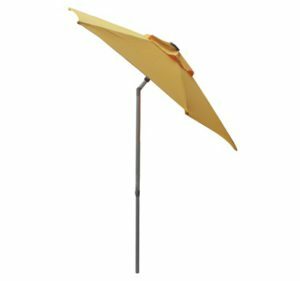 To tilt or not to tilt? 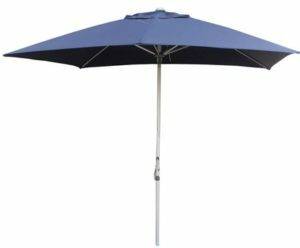 We live in the northern hemisphere and the sun is never directly overhead – even at high noon – making a tilting patio umbrella a strong consideration. 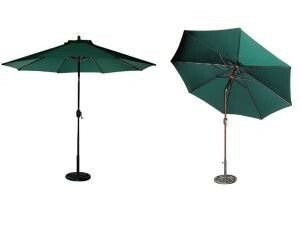 In fact, 88% of our umbrellas sold include a tilt mechanism. 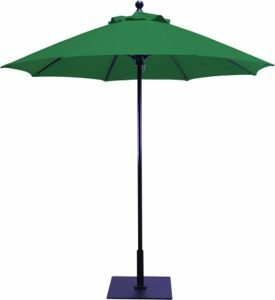 In our opinion, the only contra-indication for a tilted canopy would be in a commercial setting with a low level of employee supervision. 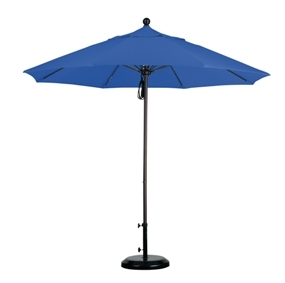 A tilted umbrella will catch the wind like a parachute and may cause damage to patrons and equipment. 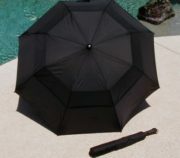 Never tilt an umbrella on a windy day. 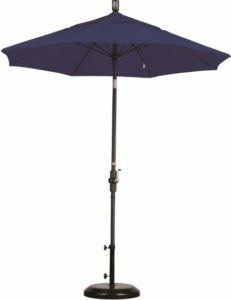 What about a crank? 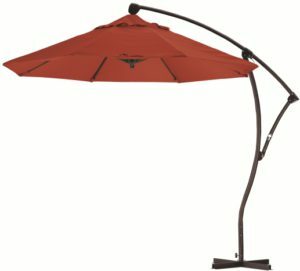 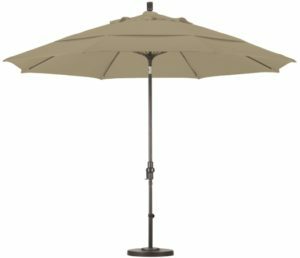 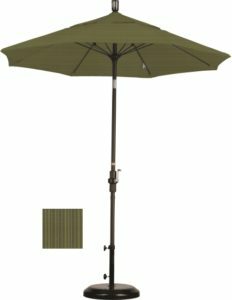 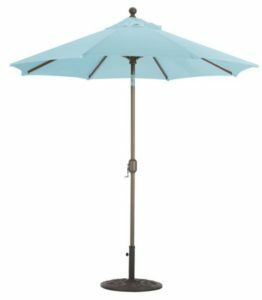 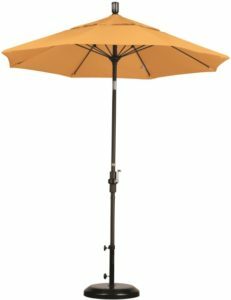 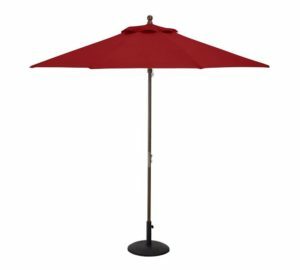 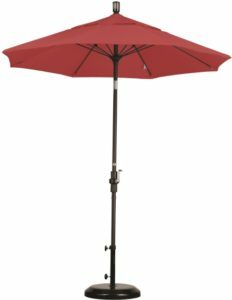 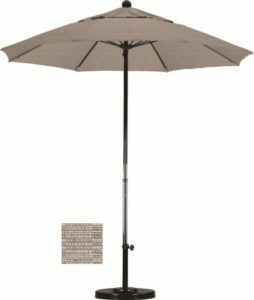 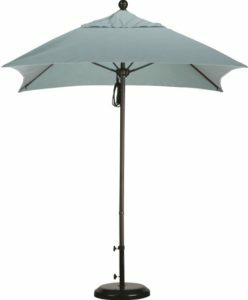 Should I opt for a pulley lift patio umbrella instead? 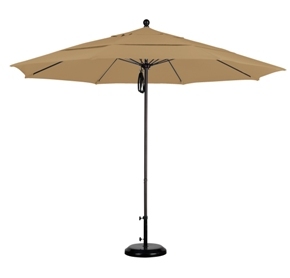 Aluminum poles are hollow and allow for simple insertion of parts for a crank lift canopy. 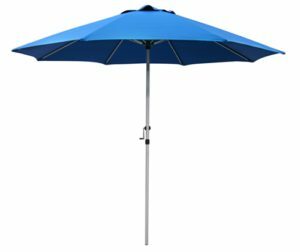 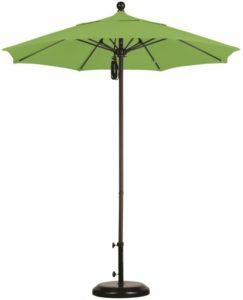 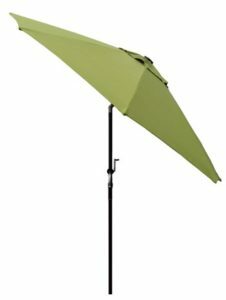 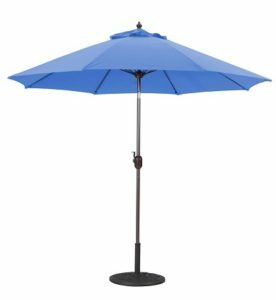 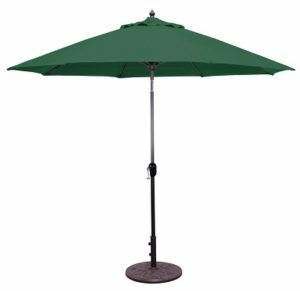 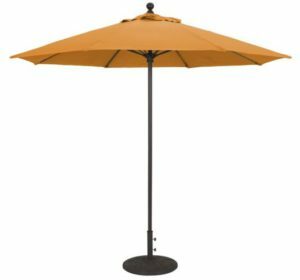 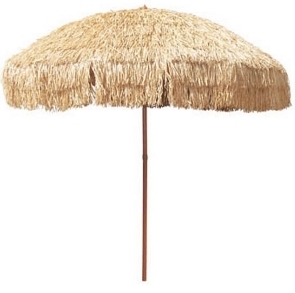 82% of our sales are for patio umbrellas with a crank open feature. A reliable ratcheting crank system is simple operate with the added bonus of eliminating those dangling ropes and the need to figure out what to do with after the canopy has been hoisted. 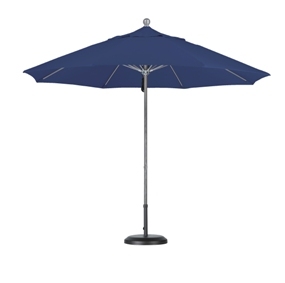 A cautionary note: Crank-open umbrellas use a stopper on the main pole section to inform the user that the parasol has been opened to capacity. The main contra indication for the use of a crank would be in a commercial setting where staff or guests have not been properly advised of the stopping point.